It's Hot, We're Broke, No Job, Bills Are Due, and We’re Supposed to Eat Salad? At least it's a good source of protein. My friend is a ball of stress and frayed nerves. She’s had trouble sleeping for three weeks, is unemployed and has applied for at least 20 positions in the past month. Highly qualified for many positions, she’s been passed over because younger, cheaper workers are plentiful, even if they lack the skills listed in the job description. She’s overweight, but working on it, but the financial stress, struggle to keep her house in this economy and thin income is also affecting her ability to lose weight. I’m not much help because I can relate to every single thing she’s going through. It’s like looking in a mirror. Except I have bigger teeth. And shorter nails. And no eyebrows. And, like, one-tenth her wardrobe . . .
She keeps telling me how hard it is to get the energy to get to the gym when she can’t even get to sleep at night. She’s telling me this via email at 3 a.m., which I’m responding to because I’m also up, yet the irony escapes her. I’m not a counselor, but I like to believe I’m a good listener. The thing is, though, I don’t like to hear problems without also hearing potential solutions. I understand that women, especially, just like to vent. They don’t want advice, which is why there are so many disagreements with the men in their lives, because men are hard-wired to problem-solve. Unfortunately, too often their “solutions” are so goofy or off-base, it triggers our “You’re not even listening to me!” reaction. Being from Venus, I know better. Still, there’s a bit of Martian in me that wants to scream out: I wish I had time to listen to your problems all day, but my own house is on fire, thankyouverymuch. But I can’t, so I don’t. I just listen . . . and let me tell you something these mostly one-way conversations have revealed to me: We always, always, end up talking about food. Not the healthy stuff, either. 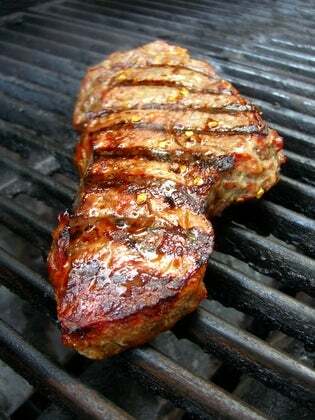 Around 4 a.m. today, it was about how much we both missed having good, juicy steaks. Millions of people of all stripe are hurting in this economy, including Yours Truly. I don’t mind sharing that I’m getting killed, financially, because my client base has evaporated. So my friend and I are both on the market along with, it seems, everyone else in the known universe. She is convinced her weight is what’s keeping the doors of opportunity closed. She looks great, by the way. Yes, weight discrimination exists, but I’m not convinced that –like any other issues one might have, from thick glasses on down – skills, personality and enthusiasm are key. I believe that if you really think all people see are your curves, they will. Rejection is hard. Equally hard is battling the feelings of anxiety and defeat. That kind of stuff will keep you up nights and rob you of good health – and make you think of Porterhouse steaks at 4 in the morning. It’s so easy to slide down, to start feeling pitiful, unwanted, unloved. These are the musings from a brain starved for comfort and happiness. Not steak. What to do? Flip the channel. Hit the switch. Change the conversation. Start talking about all the things in your life for which you are grateful. For me, it’s my children, my mother, my dog – wait; scratch that last one – my car, even though the “check engine” light is on AGAIN. No, it’s not as easy as it sounds. Earlier today another friend let me know he disapproved of something negative I’d said about myself. I blamed it on lack of sleep. That may have played a part, but really, he was blocking me from my own downward slide, and I appreciated that. It’s going to be awhile before the stress abates for millions of us. If you have weight issues, it’s at times like these that comfort foods call the loudest. The truth is, though, to give in is to give up. Now that’s something none of us can truly afford to do.